Slavery Still Exists - today there are more than 40 million men, women and children enslaved around the world. This reality is overwhelming, but we will not be overcome. God has a plan to end slavery. And that plan starts with you. Come and hear urgent stories from the those who are on the front lines of the fight, and join us in the hard work of prayer by participating in guided prayer sessions, accompanied by praise and worship. You will hear about the fight for young girls and boys being used in the Philippines through online sexual exploitation. Come prepared for a night of prayer, stories, and worship. 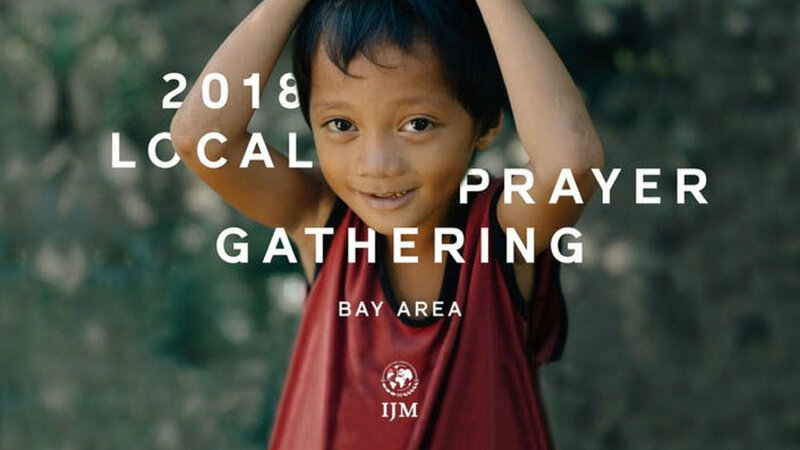 Join International Justice Mission (IJM) for the Bay Area Prayer Gathering to experience powerful prayer and worship. Be a part of a community committed to ending slavery and injustice. Join us for a hors d’oeuvres reception followed by a night of prayer, stories and worship.